I have a 14 year -old son who has high functioning autism. He loves anything to do with the computer but has a tendency to use technology as a way to hide from social and emotional experiences. I was reading about recent technological breakthroughs where computer apps actually encourage social/emotional and developmental growth. Do you have any recommendations? Lucille M.-Oxnard, CA. You are right, we are now living in a time where technology can assist in helping to build social and emotional bridges between persons with special needs and the greater communities at large. 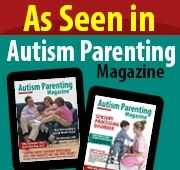 The following are a list and a description of the 13 best special needs apps of 2012. I recommend parents do their due diligence by doing research on each site before installing the apps for their child. Of particular note, please check out the complexity of the app, whether it can be adapted to the specific needs of your child and of course, cost (if any) per use. Best of luck with your entrance into our Brave New World! Esther Hess, a.k.a The Developmental Doc. 1) “See, Touch, Learn Pro” by Brian Parade. The most important asset to this app is built-in flashcards with interactive features that can be customized by a speech therapist, teacher or parent. 2) “Pictello” by Assistiveware offers a fun way to create and share talking photo albums to create social stories. 3) “Dragon Diction” by Nuane Communication is a fabulous speech to text application. To use it, students speak into a microphone and their speech is converted into text. 4) “The Social Express” by The Language Express, Inc. uses engaging scenarios to teach users, with high functioning Aspergers how to think about and manage social situations. 5) “My first AAC” by Injini, is an inexpensive augmentative/alternative communication application for the iPad that is designed specifically for the younger set who have delayed speech or severe speech disorders. 6) “Conversation Builder Teen” by Mobile Education Store. Older students learn when it is appropriate to introduce themselves, ask questions, make observations and change the subject of the conversation. 7) “Phonies Genius” by Alligator Apps is an app that is specifically designed to help students recognize and distinguish words by sounds, it is one of the most comprehensive phonics apps available. 8) “Sound Literacy” by 3D Literacy, LLC is the first iPad app that brings the Orton-Gillingham method to help students recognize the spellings of English phonemes. 9) “LetterSchool” by Boreaal. This app that offers many ways for your child to practice letters (upper and lower case), as well as numbers. 10) “ Social Quest” by Smarty Ears is an app designed for older elementary, middle school and high school aged children that works on speech and language, as well as social skills. 11) “P.O.V.-Spatial Reasoning Skills Development” by Binary Labs, helps to develop spatial reasoning skills in kids and adults. Spatial reasoning skills are taught through fun, challenging and interactive activities. 12) “Speech with Milo” by Doonan Speech therapy. Is a series of nine interactive speech apps that build language skills by incorporating animation. 13) “I Get It!” by It, L.L.C, is a series of specialized apps designed to facilitate cognitive growth through the building of language skills.